The concept of outsourcing business activity has been far more effective and popular in business in the recent times. For increasingly evolving business environment, outsourcing certain activities is more imperative as it gives business owners time to focus on other aspects of business that can lead to the exponential business growth. Nowadays, businesses outsource every possible activity that is a core part of their business. This means you need to be clear which particular activity you want to outsource. 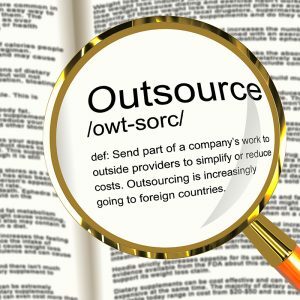 You need to determine the pros and cons of outsourcing that particular activity. For example, if you are searching for an IT outsource then select a reliable and experienced company that comprises of skilled as well as dedicated employees. Such an arrangement can result in business growth. Search for a company that functions according to nature of your business. Business aims to meet deadline in an effective manner. Outsourcing a business activity saves a lot of time as well as money. Time management is regarded as one of the major success factor for any business. This means when you think about outsourcing, you save more time to spend on other essential business activities. You solely cannot control each and every activity in your business. It can be very tedious, time consuming and complicated. In such a situation, outsourcing becomes an integral part of the business as it can create a perfect balance amongst other factors. Proportionate control amongst both the outsourcing firm as well as the business can result in smooth functioning and development of the business. It is important to outsource a particular role and not an individual task. This clarity is very much essential as it minimises confusion about who is responsible to overlook the task. Besides, you need to search for an outsourcing firm that can handle the role and not just one particular assignment. It is thus, significant to hire a firm that can accomplish this role on your behalf. If you decide to seek outsourcing service from a company, it won’t mean you will compromise on the standard of your firm. If you are looking for certain qualification in an employee for that particular position, make sure that the firm you hire possesses that level of expertise. Do not risk your company’s integrity and future by hiring inexperienced outsourcing service providers. For instance, if you are looking for web designers, you will be required to hire a firm that comprises of well qualified designers who has significant industry experience. While staffing or searching for employees you might have heard the term, ‘right people, right job’, the same goes here. Location is one factor that can impact productivity of your employees. If employees have to travel too far to come to your office their performance is likely to be hampered. 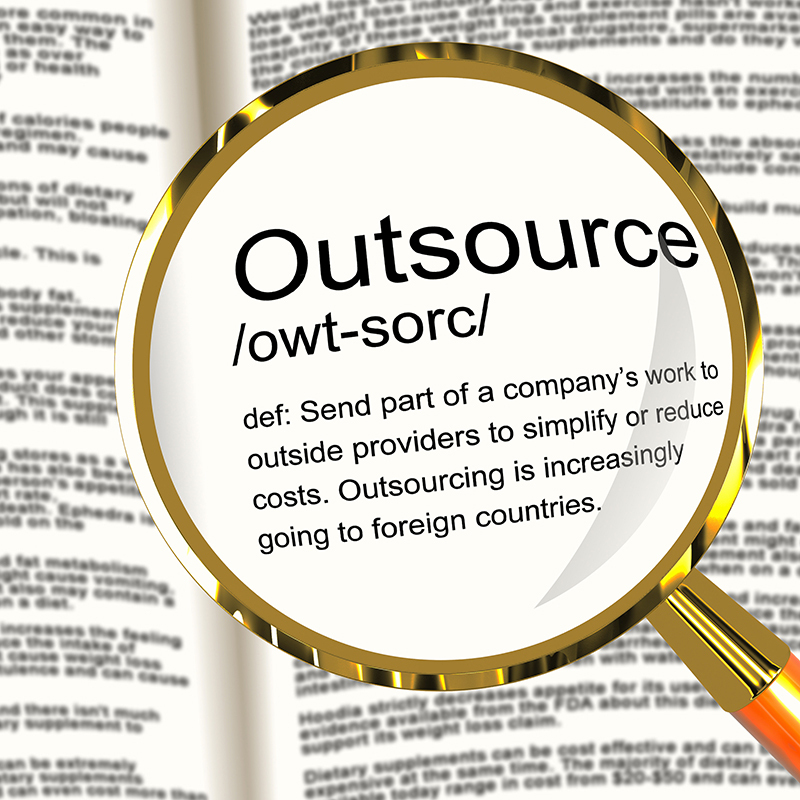 Therefore, look for an outsourcing company that is within your reach. In other words, the employees of outsourcing company do not have to contemplate before planning a meeting with you as they stay in a closer location to yours. Although, the two ends of location is being bridged by technology. Video calls and various applications to share common data have eliminated this gap. This is why you can take the leverage of hiring freelancers for certain tasks. You can co-ordinate and communicate with them anywhere and everywhere. It has also been observed that young entrepreneurs are not restricted by these geographical boundaries and are not reluctant to hire outsourcing firms overseas. You cannot completely eliminate the process of staffing from management but you can minimise your efforts by outsourcing another firm. This means you get experienced and hard working employees working for you, but you do not have to go through the stress of recruiting them. You do not have to go through the clutter of numerous applicants. You simply have to look for limited number employees directly working under you. When you are selecting employees for your firm you have to evaluate their experience and skill set before you hire them. Finding the right candidate with sufficient work experience for your firm can be really difficult to maintain within the firm. Skills have prime importance when you look for employees. For certain working situations, experience does not hold as much accountability as skills do. Therefore, it is essential to determine which work profile requires more skills and which needs experience. When it comes to practical application, skills are considered to be more significant and when it comes to management or administration work, experience is more relevant. An individual personality can be fluctuating and may change over a period of time. On the other side, an outsourcing firm’s personality is likely to be consistent and evolve after years of experience. Besides, an outsourcing firm has uniform personality and work approach which allows smooth flow of business activities. Mainly, you do not have to cope with constant changes pertaining to that particular activity. When you outsource a firm for particular function in your firm, you are likely to obtain an outcome which resembles your expectations. This is so because they are well aware about your expectations. Besides, their level of expertise gives them the ability to determine your requirements from the vague description you offered them. Although you do not have to train them formally, but it is your responsibility to precisely mention your requirements so that they can work in the right direction. You can outsource every department that requires running your office. You have to be very careful while selecting an outsourcing department. You cannot simply outsource finance, marketing, sales as well as HR department as this will increase your efforts in co-ordinating amongst different agencies. Besides, it is not a feasible option. Instead outsource a particular department wherein you lack knowledge and cannot devote time in understanding it. Outsourcing can help you to gain knowledge from professionals about the field and also determine lucrative options for future. Additionally, you can trace the effectiveness of the plan imposed for a particular duration. 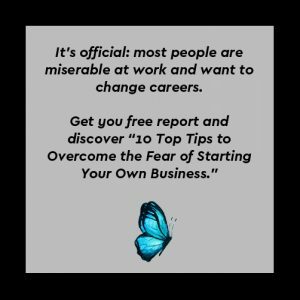 You can expect decent work from the experts but avoid going over-board. This mostly, happens when you have outsourced a firm for the very first time. The first experience is likely to be a decent one as the firm is not familiar with your working pattern and requirements. They too, need some time to understand crux of your business and execute effectively. Besides, do not expect the outsourcing firm to carry out additional functions. For example, if you hire a firm for HR activities do not ask them to carry out your administration activities as well. You treat your employees with a positive and right manner. Likewise, it is important to treat your outsourcing firm rightfully and in a courteous manner. Such relations can be maintained for longer duration. Additionally, keep a stream of transparent communication open which will reduce any misunderstanding or mis-communication. Such relations allow healthy work environment at workplace and between the outsourcing firm leading your business to cover the weak aspects and head for a rocketing success. Charles Martin loves to be called “Problem solver” by both his colleagues and friends as he helps his clients with IT solutions. 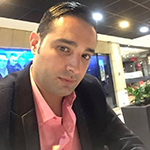 He works as an IT consultant and office management expert at ACS . He also an avid blogger who likes keeping himself and the readers updated with the changes springing up in the IT industry. His forte is in bringing solution to IT problems that are faced by most and are solved by least.